Don’t be fooled, these are not your average classic books. 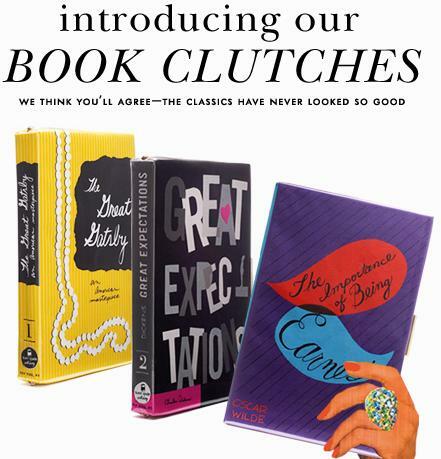 Kate Spade has introduced her Book of the Month Clutch bag series. There are only three ‘books’ in the series and each boasts as being a mini work of art. They are crafted with hand drawn elements and colourful collage, including spine and back cover with back cover copy. If you leave this purse unattended at your next event, it might just be mistaken for the book it masquerades. I personally don’t like the cover art they chose to depict these classics, but what do you think? 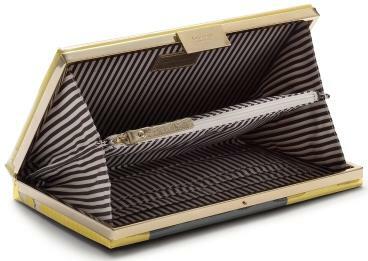 Also, at 325$ a purse, I unfortunately won’t be sporting one of my favorite classics, The Great Gatsby, anytime soon. Posted on August 11, 2010 August 11, 2010 by LN	This entry was posted in Book covers, Charles Dickens, Classic Literature, F. Scott Fitzgerald, from the page to life's stage, Oscar Wilde. Bookmark the permalink.